We offer a jumbo split cedar rail fence that comes in 2 and 3 rails. 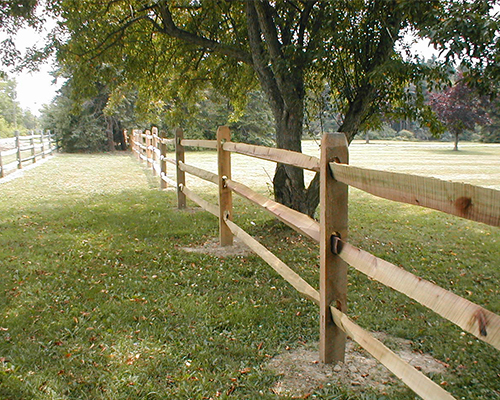 We also offer a round pole that is basically a split rail fence but the components are finished in a round pole. These fences are great when you want to define a property line and your not concerned with security. Also a very economical option.